Stone Cottage Adventures: Who's Ready for Gardening Season? ME! I am ready to play in the dirt! Full disclosure. I received packets of seeds in exchange for this post. All opinions are mine. A common name for the Asclepias family is Milkweed, host plant for Monarch Butterflies. Incarnata is a lovely variety that is upright and tall with white blooms. I've grown it before, but one year it all died at the same time. The weather is probably to blame. In my 20 Wishes for 2015 , wish #11 is to increase my asclepias collection. I am THRILLED to find a source for these seeds. Mary's Heirloom Seeds also carries the orange Tuberosa as well as the red Tropical varieties of Asclepias. She also offers multiple wildflowers and wildflower mixes that would make lovely nectar gardens for butterflies. Remember... Host plants AND nectar sources are necessary for effective butterfly gardens. I like that each seed packet has instructions on the back. I am completely out of carrot seeds and am excited to give this variety a try! I tend to have better luck planting carrots in the greenhouse, so that's my plan for this packet. 'Can't wait to give you updates! Is there anything tastier than a cucumber fresh from the garden still warm from the sun? Mmmm... What a treat! I have not tried this variety before, so we will see how it likes the soil in Northwest Arkansas! It's still a little early to plant cucumbers here. These will be started in the greenhouse while we wait for warmer night temps to arrive! Here's the description from Mary's Heirloom Seeds : Stunning violet-blue pods are produced on lovely little bush plants that do not require staking. The delicious peas are perfect for soups and stews, or pick small and these can be used as a snow pea. Purple peas?! How pretty! I also like the idea of them being a bush variety, not needing stakes for vining. I bet they would perform well in containers and plan to have a row in the garden, but save some seeds for the green house this winter. Hopefully, I can get some lovely photos and share their color with you. 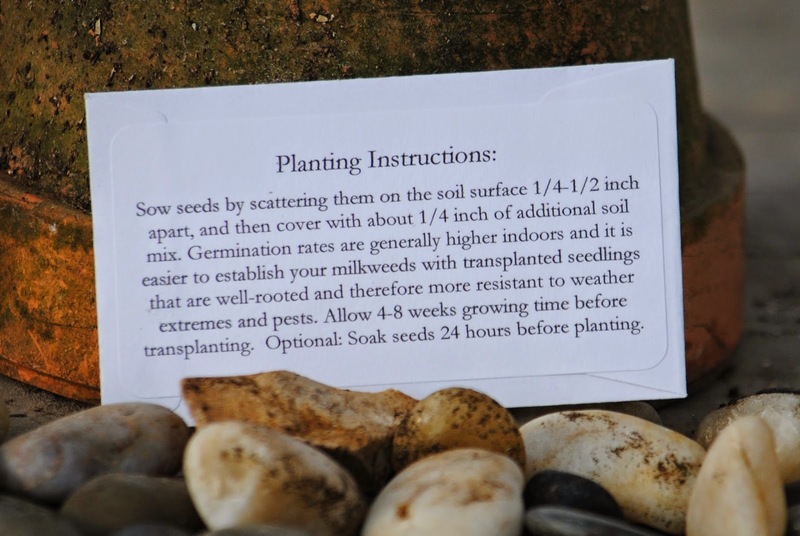 A little more info about Mary's Heirloom Seeds. Are you ready for the gardening season? ;-) What are you planting this year? I've already planted some peas, lettuce, spinach, beets and carrots. I think the peas are coming up but after a very hard rain, I may be replanting the others. Who knows, maybe I'll end up with double crops! Last year, I added a flat of milkweed from the Missouri Wildlife Nursery in Jefferson City. Let me know how your variety of white milkweed does. I planted the orange variety but understand they like the pink and lavender varieties better. Happy week!! we have our little babies sprouting all over!! so exciting and hope to get them planted this weekend. with luck the storms and inch worms will be gone! I planted various butterfly and hummingbird attracting flowers, strawberries, and a cherry tomato. I'm thinkign that might be it for me this year. I wanted it all now, but I'll be starting with seeds next year - from Mary, of course! No GMO here! Visiting from Tuesdays At Our Home. We are so ready to get outside and plant the veggies and the flowers! I try to go outside everyday and see the progress that is being made in the growing. I planted a few veggies a couple of weeks ago here in southern Texas. It's so nice to get out and get my hands dirty again! Thank you for sharing with us at Merry Monday! What an awesome selection! I can't wait to see how they grow for you!